“Flart“: A term I use to describe art or decorative objects displayed on the floor. Sounds dirty; actually used by others to discuss a flan/tart dessert combo. I’m not always a fan of flart (the floor art, not the intriguing dessert) but these tiny decorative deer pictured in the December 2010 (sooo last year, I know) issue of Living Etc., caught my eye. 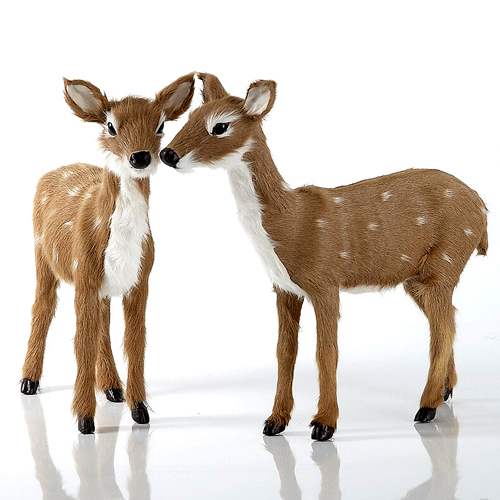 If you’re already thinking of next year’s winter decorating, you might want to check out this U.K. website: http://angelatmytable.com/ for a pair of your very own “Oh Deer” decorative deer.